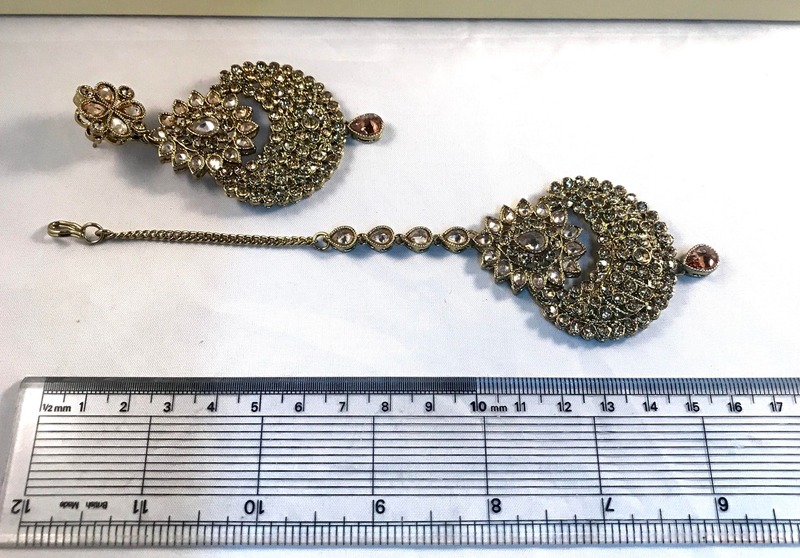 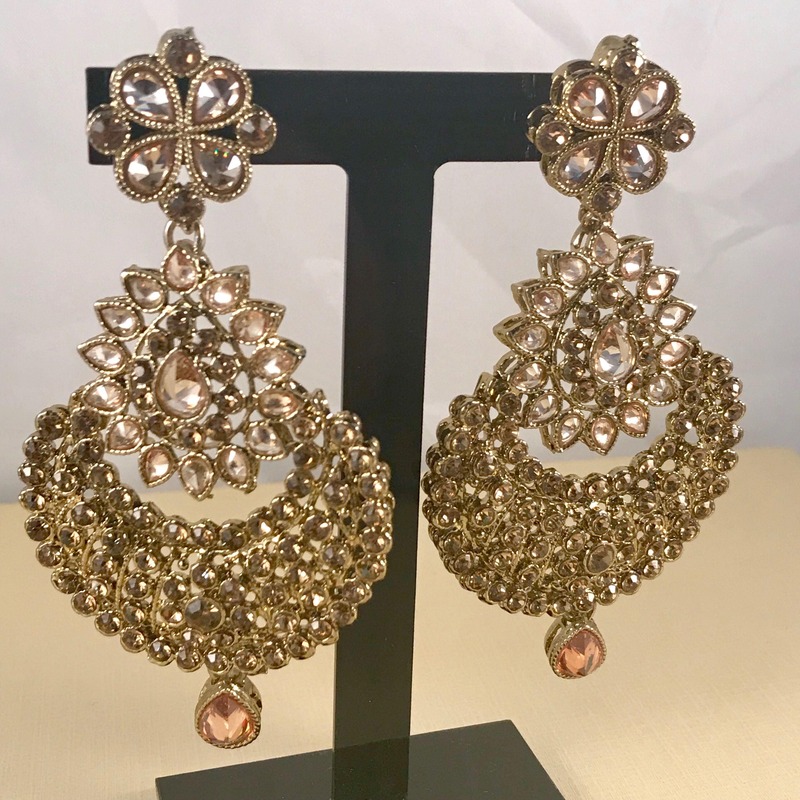 Matching Earrings and Tikka set. 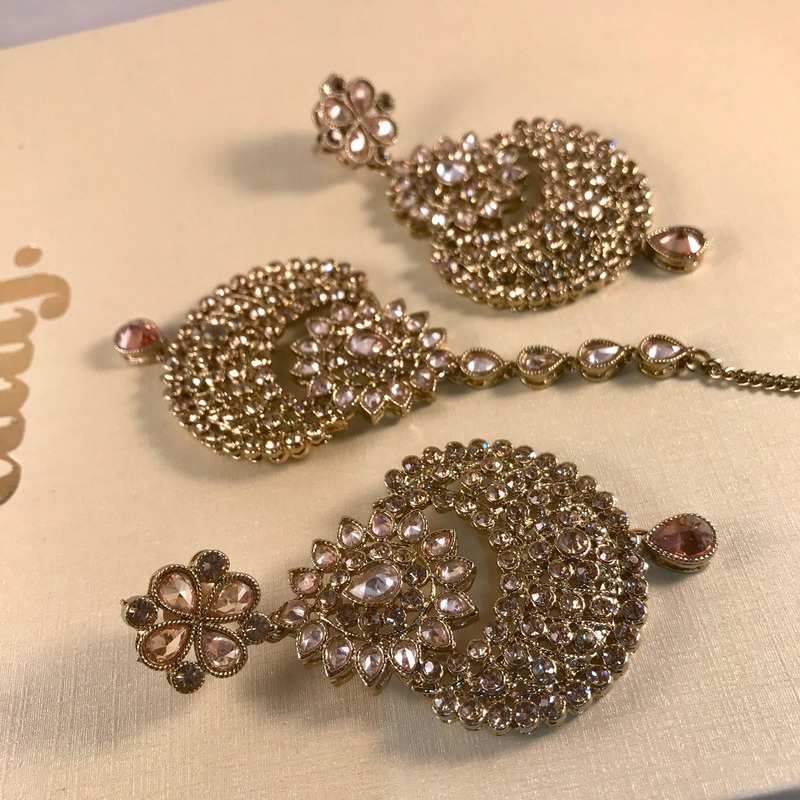 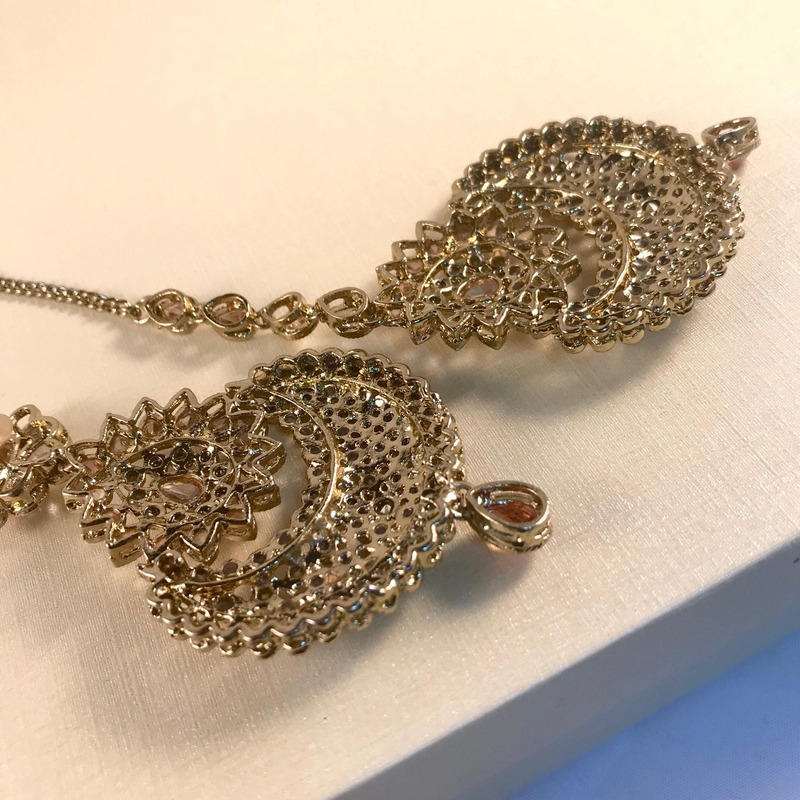 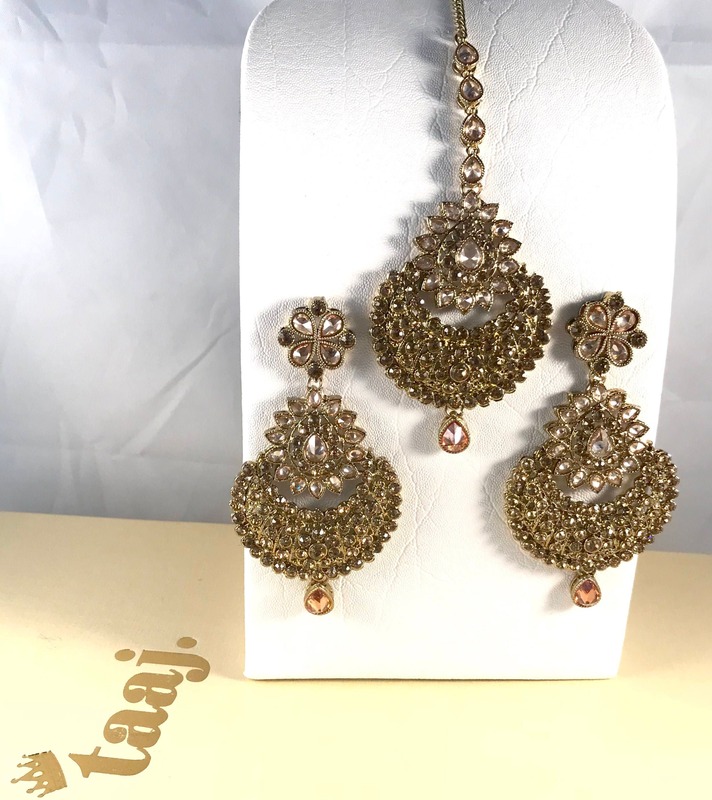 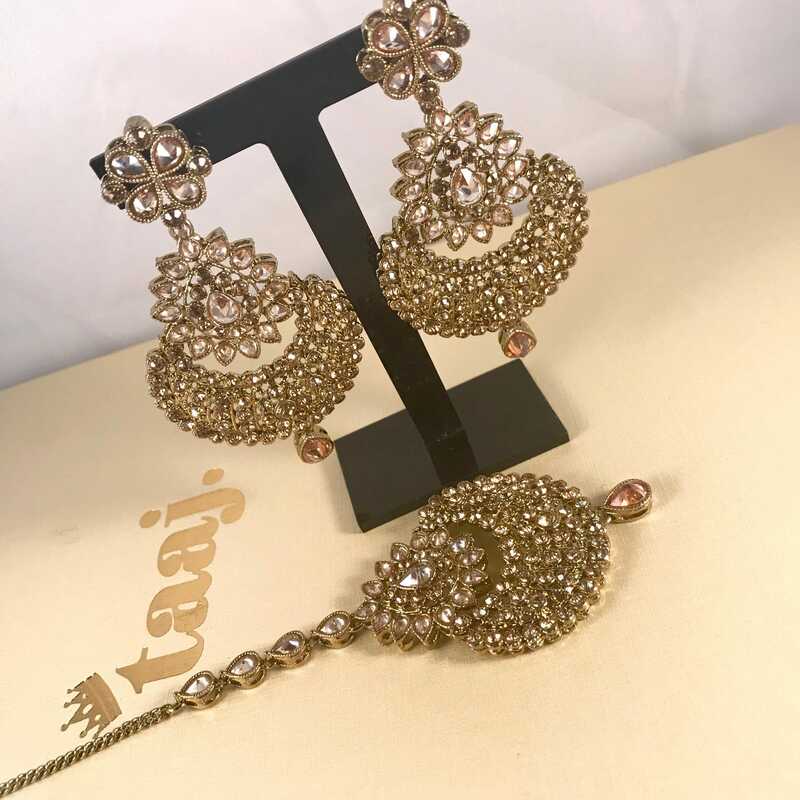 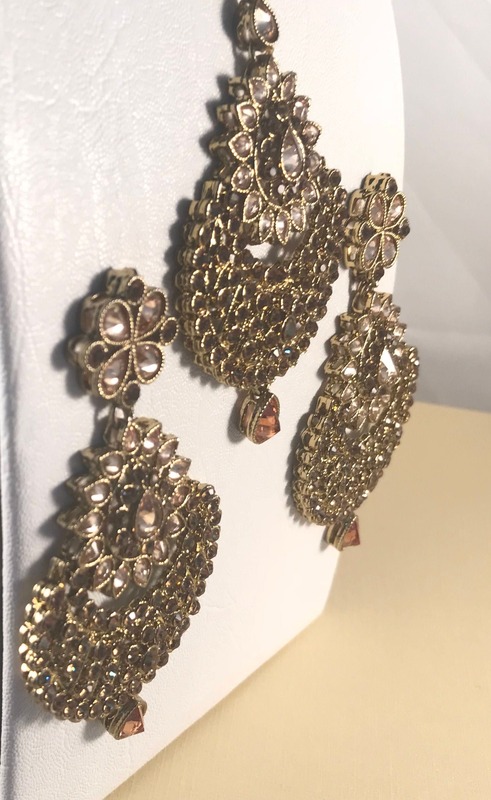 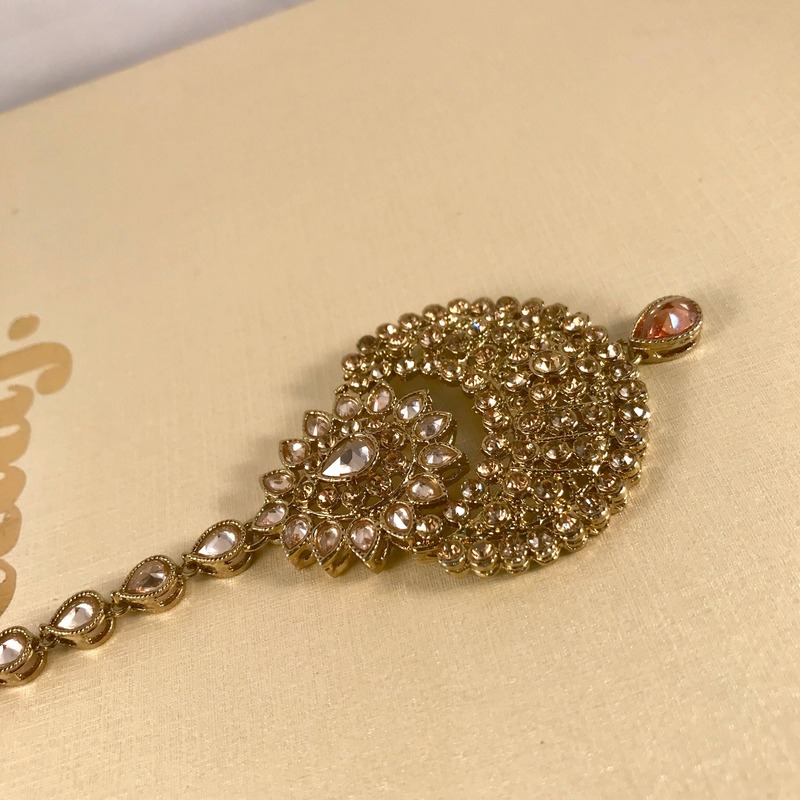 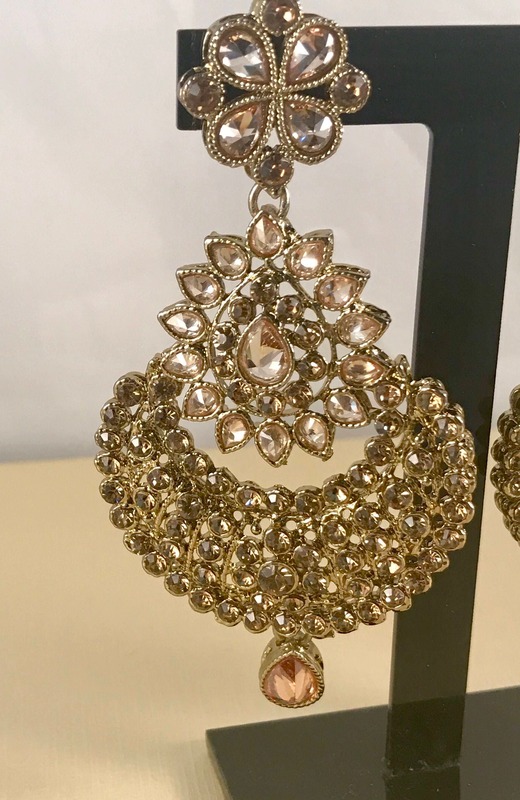 High quality Gold coloured earrings and tikka with gold coloured stones. 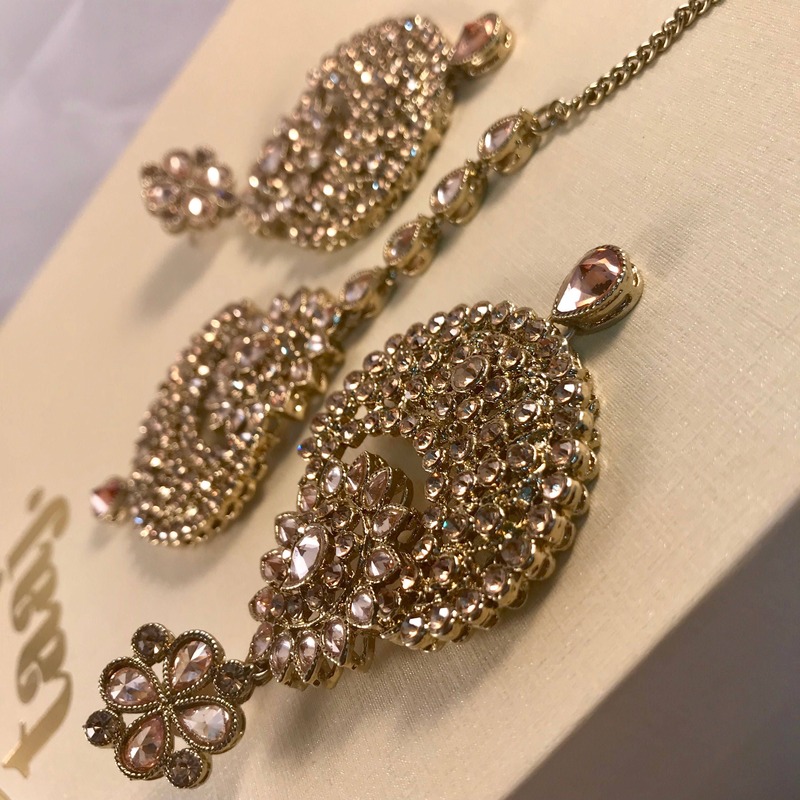 Champagne colour zirconia.